I DNF'd this. 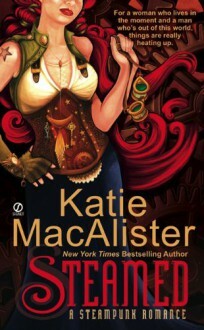 (Before I was on goodreads)I just remember not liking it, at all, and thinking is was a poor example of steampunk. I finally read this today. It was a fun read! I liked MacAlister's dragon books, too, and this is similar in pace and interest.